Wok Week continues with Drunken Noodles, fusion food at its finest in every sense. 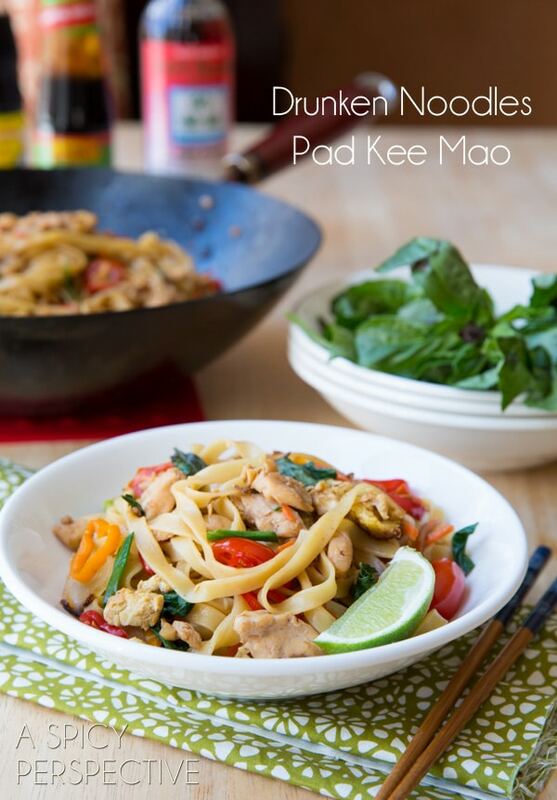 Pad Kee Mao combines multicultural attributes in a comforting and healthy way. When you sit down in a Thai restaurant here in the states, there are a few dishes you will nearly always find on the menu: Pad Thai, Thai Fried Rice, Coconut Curry, and Pad Kee Mao, also known as Drunken Noodles. However, Drunken Noodles are a tasty example of asian “fusion food” in its truest form. 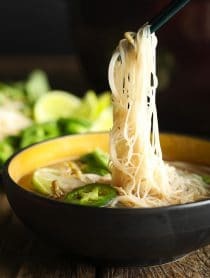 This dish became popular in Thailand, after Chinese immigrants crossed the borders in surrounding countries and started selling the common street-food dish, Phat Si Ew, made with wide noodles. 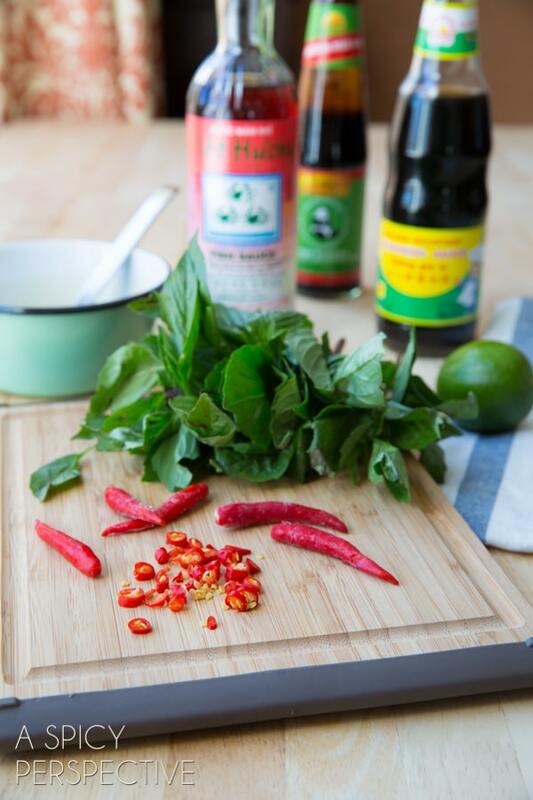 The biggest difference between Phat Si Ew and Pad Kee Mao is that over time, the Thai people added spicy peppers and sweet Thai basil. A brilliantly fragrant addition, in my opinion. In fact, there are many stories of how these noodles became known as Drunken Noodles, due to the fact that there is no alcohol in the recipe. One theory is that they are so spicy, those partaking get drunk in the process of trying to quench their thirst. Of course you can adjust the heat to your liking; no need to worry about sending dinner guest home in a state of inebriation. 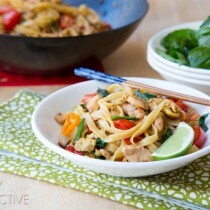 Pad Kee Mao is traditionally made with wide rice noodles, however I prefer the density of DeLallo egg noodles. 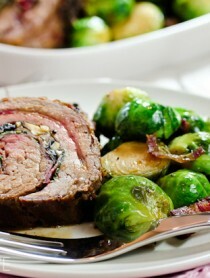 They soak up the sauce and create wonderful richness in the dish. You can use either in this recipe. Start by mixing all the wet ingredients to create a sauce. 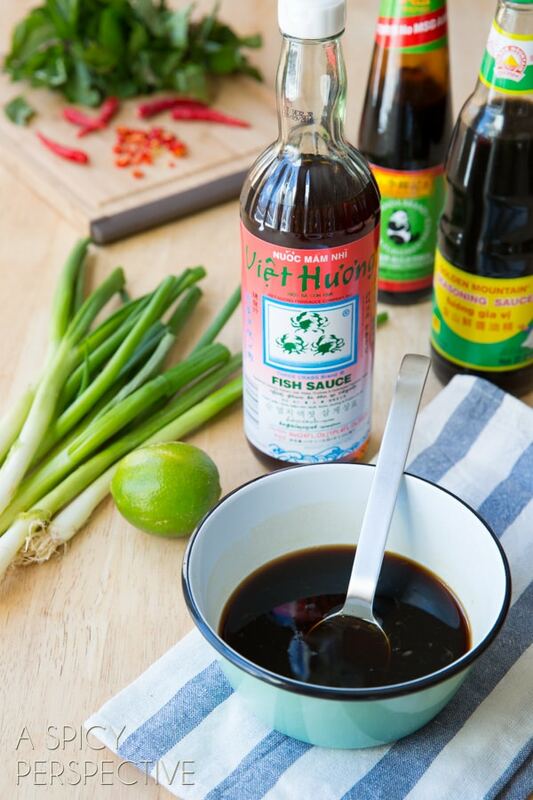 You’ll need 3 bottled Asian ingredients: Maggi Sauce, Oyster Sauce, and Fish Sauce. These can be found in most mainstream grocery stores and at all Asian markets. Maggi Sauce (or Golden Mountain) is a heavily seasoned soy based sauce. All of these ingredients are salty, so you will not need to salt this dish at any point. Now heat a wok to high heat and add a touch of oil along with the beaten eggs. 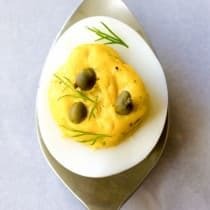 Cook the eggs until set, then push up the side to slow the cooking. Then sauté the garlic, onions, and Thai chiles. If needed add another small amount of oil, and then the chicken. Once cooked, push the mixture up the side and quickly stir fry the veggies. I used bell peppers and carrots (and added tomatoes later) but you could also add snow peas, broccoli, or baby corn. Once the veggies are just barely cooked (but still firm) add in the noodles and the sauce. 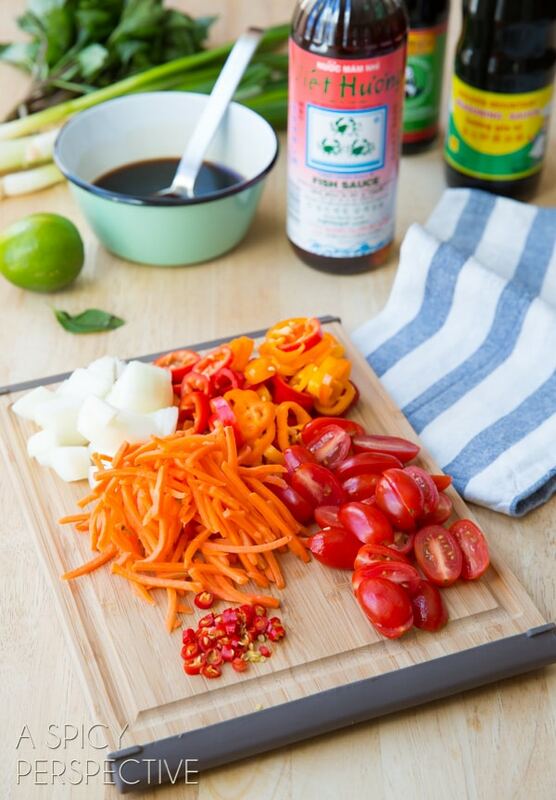 Toss and mix with fresh green onions, thai basil leaves, and tomatoes. 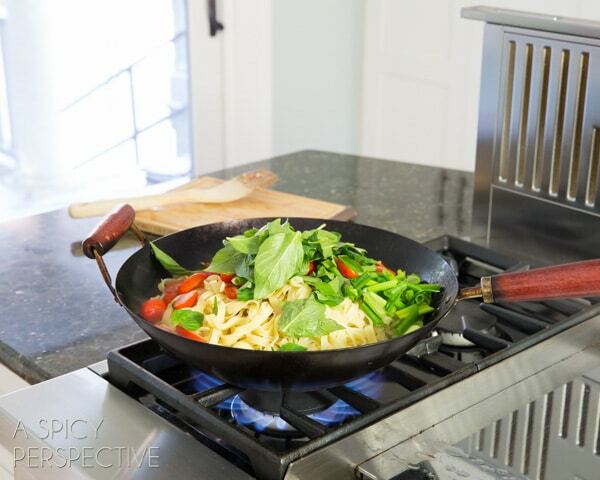 Plus you use so little oil, drunken noodles is a dish you can feel good about serving your family. Whisk the sauce together in a small bowl. Place the sliced chicken in another bowl and spoon 3 Tb. 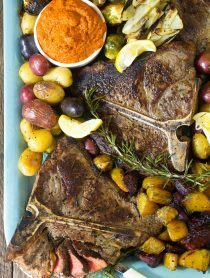 of sauce over the top to marinade. Mix and set aside. Chop the rest of the ingredients. Boil a large pot of water and cook the noodles according to the package instructions. Meanwhile heat the wok (or a large skillet) to high heat. Add a teaspoon of oil to the skillet and quickly scramble the eggs. Push the eggs up the side of the wok and add the chopped onions, thai chiles, and garlic. Stir fry for 2 minutes, then add the chicken, and another teaspoon of oil if needed. 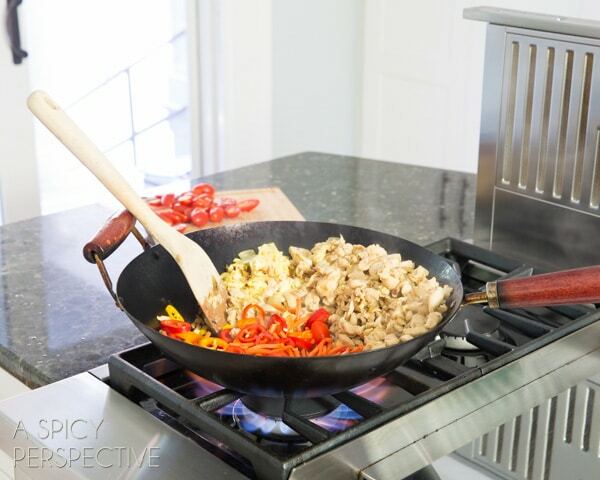 Stir fry until just barely cooked through (3-5 minutes) and push the mixture up the side of the wok. 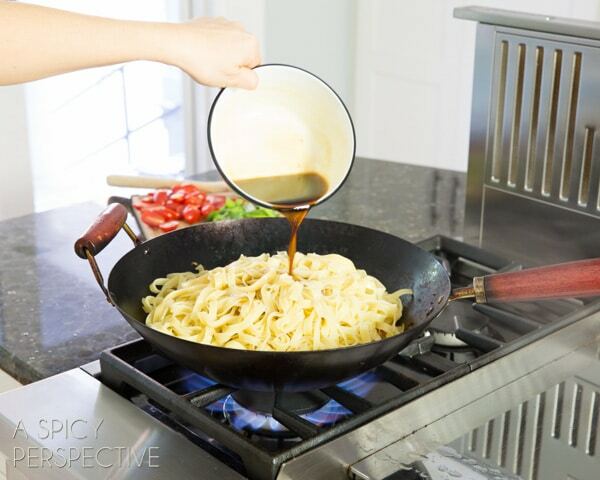 *If using a skillet, transfer the cooked items to a separate dish and add back to the skillet after the noodles, or they will over-cook. Now add the bell peppers and carrots. Stir fry for 2 minutes, then mix all the ingredients and pour the drained noodles over the top. Add the remaining sauce, thai basil, tomatoes, and green onions. Toss and stir fry another minute. Then remove from heat and serve warm with lime wedges. Yum yum! I just found your site, and made this exactly to a tee (except all I had was red hot chili peppers)..this is soooo good! I sure will be making this over and over, thank you! Yow, lip smacking spicy deliciousness! How did you know that pad kee mao is my absolute favorite?! What an awesome meal, love all these flavors! 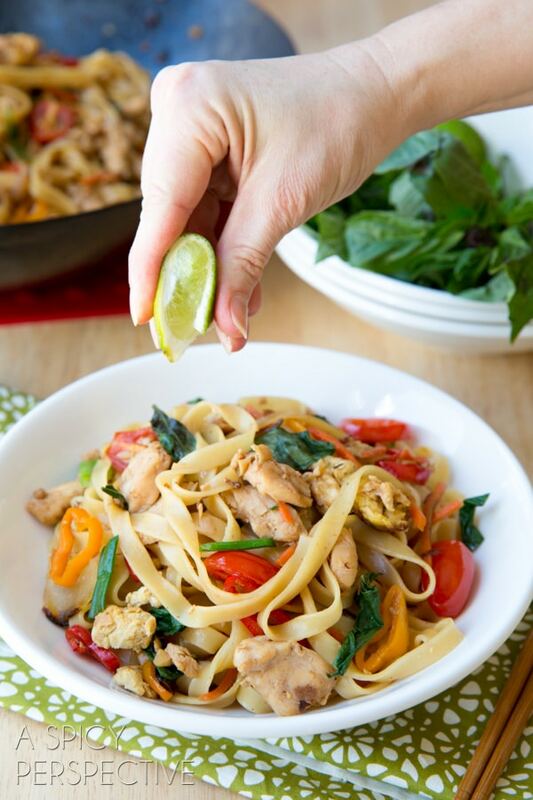 My kids love drunken noodles – I try to find the fresh rice noodles to make this dish, but I’m sure it’s great with the pasta you used. I am such a sucker for thai food! I love it nice and spicy! I have never used maggi sauce before. I’ll have to check it out. 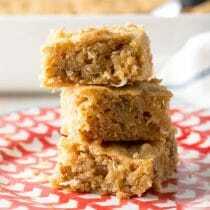 I have got to try this recipe – looks FABULOUS! Hey Sommer, well girlfriend you are killing me. I love this recipe but I don’t have a wok or a pressure cooker. Two things I always wanted but have never had or even used. 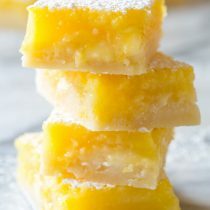 I would love to try a recipe using one. I love to watch them cooking in a wok on TV it looks so fast and so easy. 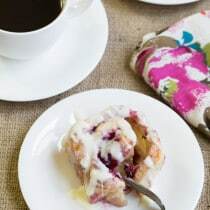 Another great delicious looking recipe. Kudos! I love Thai food, the vibrant colors and flavors here are calling my name! Totally my kind of dinner. I love all Asian foods and have been wanted to make this meal for ages! Love this sort of dish. Healthy and packed w flavour. Hubby will love it, too. Thansks, Sommer! I adore..like LOVE..Thai food!!! This looks amazing! I’m drooling! This is my kind of meal. This looks absolutely amazing. I love everything about this… LOVE Thai.. yum! <3 You made it look so easy!! I LOVE this!! Asian noodles are my fave. . and I love your wok! Yah, this is my kind of dinner! Love!! This sound nice and tasty!